HERE IT IS!!! Episode 181 that we did live at PT’s! Were there audio issues? Of course! Did we have to suffer though drunk Shane? YEP! Was there too many PT’s jokes? OH HELL YEAH!! Did Byron Stout lay down some insane stories? CRACK?!?!? Are there too many rhetorical questions already in this post? SURE ARE!!! Look, if you came out to see us at the live show, we can’t thank you enough. Be sure to grab some friends and come to the next one! They’re free! 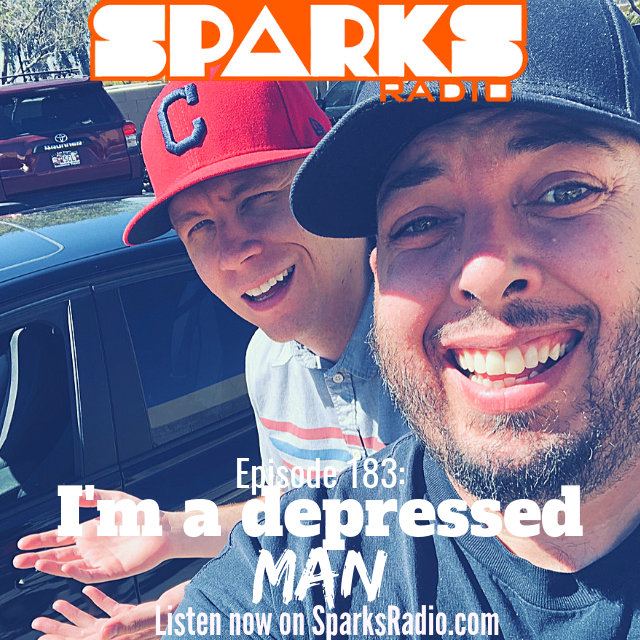 (You’ll be able to tell when you listen) Thanks for checking out #181 of the Sparks Radio Podcast! Tell a friend you enjoyed it and give us a rating and review here!